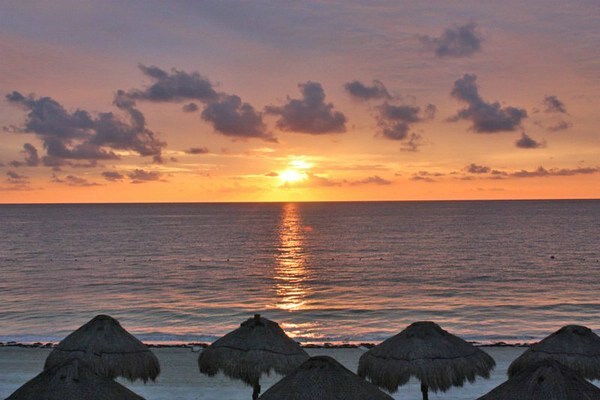 In a city brimming with lavish hotels, brightly lit, pounding night clubs and requisite Starbucks at every corner, Cancun seems to be a home away from home. However, this remarkable city easily balances its popularity as a tourist destination with its rich Mayan culture. Hugged by the Nichupte Lagoon and the Caribbean Sea, Cancun is beach-lover’s paradise, one in which the lapping sounds of waves soothe the weary traveler to sleep. Or, at least, that was my experience. Arriving in Cancun, I was greeted by warm breezes, lush greens and Miguel, a friendly driver who escorted me to a waiting van, air-conditioned to a chilly 60 degrees. 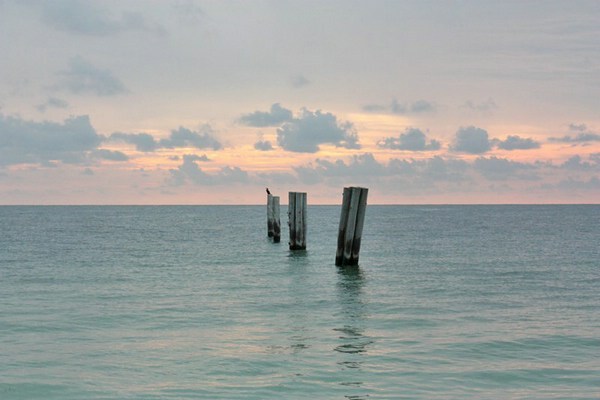 Like any tourist’s Mecca, Cancun is a paradise for travelers, but with potential problems. For first-time travelers to Cancun, especially couples, it is important to be wary of scam artists targeting arriving tourists. Though they offer to take you to your hotel, they will drive to the hotel for which they work and insist you stay there. However, the vast majority of hotels will provide drivers who will wait with placards outside the international arrival gate. After loading my luggage, Miguel drove to the Paradisus Riviera Cancun Resort, a “veritable paradise” built yards from the beach. Just outside of downtown Cancun, Paradisus Riviera feels secluded, yet it is within driving distance of both downtown Cancun and the Hotel Zone and various parks and ecological attractions. With a number of pools, both private and family-friendly, first-class dining – L’Hermitage, the up-scale French restaurant that features wonderful seafood (and requires a dress code), is one Paradisus Riviera’s best – spa treatments and private suites featuring private balconies and outdoor hot tubs, Paradisus Riviera feels quite luxurious. In addition to its already impressive amenities and beautiful location, Paradisus Riviera offers all-inclusive packages. For those unfamiliar with Cancun or for those lacking a full itinerary, Paradisus Riviera also has a host of helpful staffers, including “Romance Specialists” who plan destination weddings, ready and willing to help book tours and shuttles. Though Paradisus Riviera is one of the best hotels in Cancun, there are a number of other options, most within the Hotel Zone. 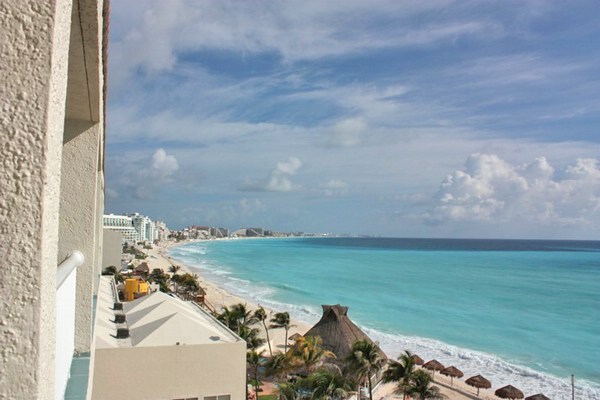 The Hotel Zone, known as “Cancun Island,” includes nearly 300 hotels and 28,000 rooms and spans 14 miles. Stretching across the Caribbean beach, it attracts honeymooning couples, spring break revelers and those simply looking for a vacation. Of the hotels in the Hotel Zone, Le Blanc and the Westin stand out as among the best Cancun has to offer. Le Blanc provides upscale suites, excellent dining, including first-class restaurants Blancitalia, Blancorient, Blancstage, and pool and lounge bars. Le Blanc also features an outstanding spa; with dim massage suites and softly pulsing lights, Blancspa is the quintessential spa, one that caters to romance-seeking couples as it provides a selection of couples’ suites. The Westin Resort and Spa, on the other hand, is one of the few Westin hotels to feature its Heavenly Bed, Bath and Spa. With luxury as primary, the Westin features accommodations at their best; between restaurants, beaches, pools, a swim up bar, tennis courts, plush beds in suites with beach views and spa treatments, the Westin offers a range of indulgences. The Westin and Le Blanc, as well as Paradisus Riviera Cancun Resort, feature all-inclusive options. Rates for each of the hotels may vary depending on the size of the suite and the time of season. In addition, the Paradisus Riviera Resort, as well as the Westin and Le Blanc, are conveniently located as all are within driving distance of both ecological attractions and downtown Cancun. Downtown Cancun is not unlike any city in the United States: there are malls, movie theaters, Starbucks and a variety of restaurants, including the particularly popular Carlos ‘N Charlie’s. Despite the season, Cancun’s club strip, which houses Coco Bongo and the Dos Equis night club, is constantly swollen with people, both locals and tourists, many dressed in costume; it would not be a trip to Cancun without seeing Elvis, clad in a sequin-emblazoned white jumpsuit, standing outside the Coco Bongo. If night clubs are not on your itinerary, it is best to avoid the club strip, as it is time-consuming, to say the least, to drive down the night club street and surrounding blocks. If you are in downtown Cancun and craving authentic Mexican cuisine, La Parrilla is one of the best restaurants available. Out front, La Parrilla features both a traditional meat cooker, complete with a wood-turning spool covered with layers of smoked and spiced meat, and a cigar booth. Inside, a Mariachi band adds to the festivity of the colorful La Parrilla. Though every dish offered is fantastic, carne asada a la tampiqueña, Mayan chicken fajitas and salmon steak with white wine are “must-tries.” If you are a brave soul, try the exceptionally spicy habanera pepper sauce. Also, do not forget to try Mexico’s well known, if potentially dangerous spirit: tequila. Either straight, as is traditional, or in a margarita, tequila, especially Milagro or Don Eduardo, is essential to any trip to Mexico. Outside of the confines of the city, Cancun is the host of both archeological ruins and ecological parks. The ruins of Chichen Itza and Tulum showcase the advancements of the Mayan civilization. Roughly 2 million Mayans still live in Cancun, and, in fact, they maintain their own culture and language as many do not speak Spanish. For all intents and purposes, however, the great advancements of this civilization faded off in 900 A.D. when the majority of Mayans abruptly left the Yucatan Peninsula. Yet, their culture and history is preserved at the archeological ruins of Tulum and Chichen Itza. Tulum, known as the “walled city” in Maya, is set on a bluff overlooking the sparkling waters of the Caribbean Sea. Once the center of maritime trade for the Mayans, Tulum is now the site of predominately religious ruins. Highly religious people, the Mayans were polytheistic, dedicating a number of temples to various gods. Among the temples at Tulum, the Temple of the Descending God, the Temple of the Frescos and the Temple of the God of Wind are some of the most provocative structures. 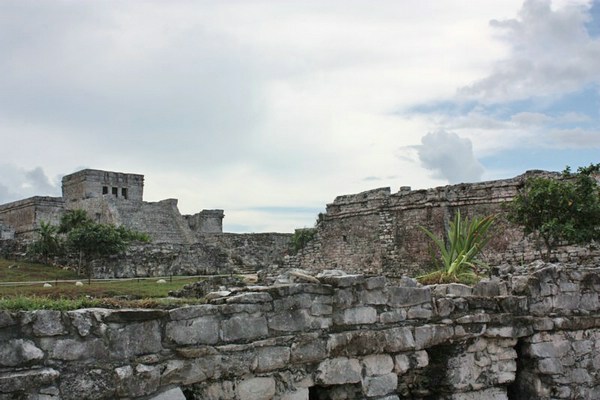 “El Castillo,” or “The Castle,” located in the heart of Tulum takes a commanding presence over the ruins and is the tallest, most complex structure. Tulum is also the home of one Cancun’s most beautiful beaches; if you have the chance, it is highly recommended that you take a dip in the sea at Tulum. 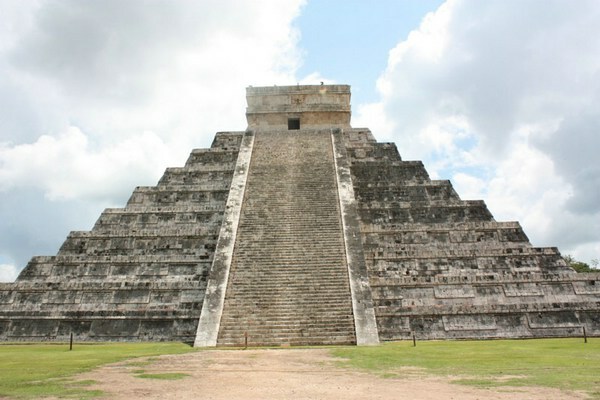 Unlike Tulum, Chichen Itza is the home of one of the Seven Wonders of the World: the pyramid. Like El Castillo at Tulum, the pyramid at Chichen Itza is also known as “El Castillo” and the Temple of Kukulcan, or Quetzalcoatl. Consisting of four sides, each with 90 steps, El Castillo is easily the tallest structure at Chichen Itza. 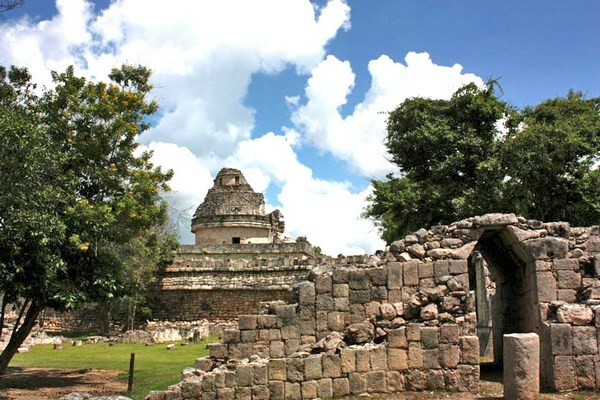 During the Vernal and Autumnal Equinoxes, the outline of a serpent can be seen on the north side of El Castillo. Kukulcan translates to “serpent,” which is symbolic of both this leader of the Mayans and of Mayan culture. In addition to the El Castillo, the Observatory and the Great Ball Court are representative of the innovations and culture of the Mayan people. The Observatory, known as “El Caracol,” or “The Snail,” was the home to Mayan astronomers, who, it is believed, deliberately positioned windows so they could track the movements of Venus, the sun and the moon. The Mayans also developed complex calendars, one of which is 260 days, the other 365 days. The Mayan’s “Long Count” calendar of 5,126 years ends on December 23, 2012, a day in which the winter solstice will be perfectly aligned with the center of the Milky Way. The Great Ball Court, the largest of its kind, is the site of one of the most perplexing sports games. Played with a soccer-sized ball, this traditional Mayan ball game is played between two teams. Neither feet nor hands may be used; in fact, only hips, elbows and knees are used to maneuver the ball through a small hole at the center of each of the sloped interior walls enclosing the field. At the end of the game, the winning team, not the losing team, is sacrificed. The ball game of the Mayan’s is acted out in one of the most magnificent shows in Cancun, Xcaret’s “Mexico Espectacular.” With the option of dinner, “Mexico Espectacular,” which appears in two parts, follows the culture of the Mayans up until the arrival of the Spaniards and details the various customs of the Mexican people, who are surprisingly diverse in their traditions. Xcaret, one of the most popular ecological parks in Cancun, offers a variety of water-related activities, restaurants, ecological attractions, wildlife and archeological sites. One of the largest parks in Mexico, Xcaret is difficult to cover in one day; however, the park offers a two-day pass at a discount. In order to get a full view of what Xcaret offers if you have only one day to see the entire park, there are a couple of sites on which you can concentrate. The cemetery at Xcaret is a marvel both in its construction and its color. Known as the “Bridge of Paradise,” the cemetery is based on the Gregorian calendar. 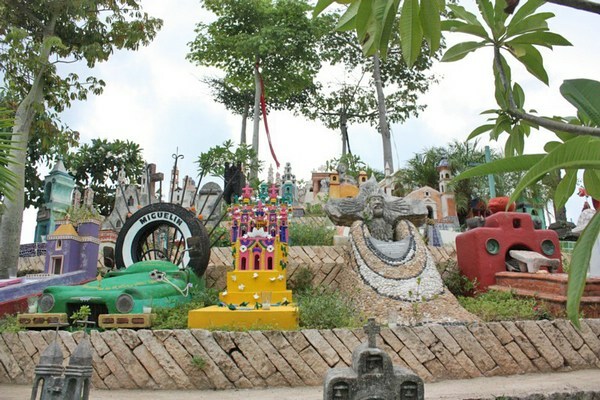 After climbing the 52 stairs to the cemetery, there are seven levels of 365 colorful, creative tombstones. 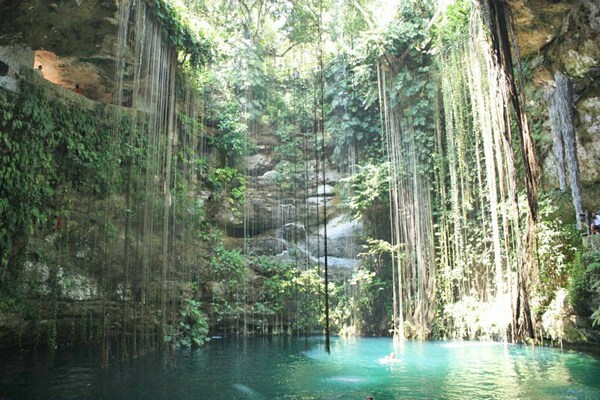 In addition to the cemetery, Xcaret offers snorkeling, swimming with dolphins and natural sinkholes and pools. Located under arched cave ceilings, the underground rivers are both refreshing and oddly exotic. Though there is the occasional bat and the water is almost entirely opaque, the water is quite warm, and with life jackets, it is possible to gently float down the length of the river. If your palate is inclined towards Mexican wine, Xcaret offers a newly constructed wine cellar. Located beneath the park, the wine cellar features hundreds of wines, available for tasting and purchasing. In addition, it is possible to reserve the dining room for an extravagant meal, one that includes various wine options. Although Xcaret is one of the most extensive ecological parks in Cancun, Xel-ha is equally enjoyable, though on a smaller scale. Primarily a water park, Xel-ha offers swimming with dolphins, snorkeling, underground rivers, and cycling and hiking paths. Xel-ha also has exhibits of traditional Mayan huts, located among lush greens; however, make sure to apply ample amounts of bug spray as the plants attract a variety of hungry insects. Between luxurious hotels, night clubs, restaurants, shopping, beaches, archeological ruins and ecological parks, Cancun offers plentiful attractions, even for the most discerning traveler. It is, quite simply, paradise.